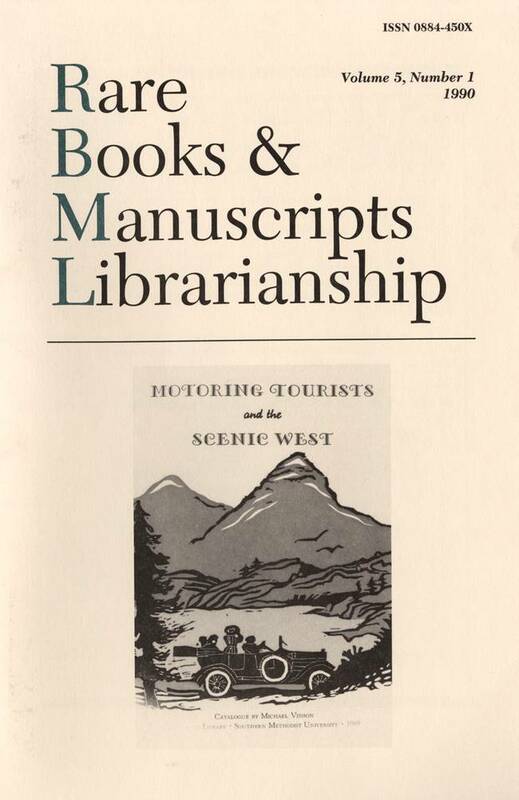 Cover illustration is from the RBMS award-winning catalogue by Michael Vinson, Motoring Tourists and the Scenic West, 1903 to 1948 (Dallas: DeGolyer Library, Souther Methodist University, 1989), produced at the press of W. Thomas Taylor. The catalogue's cover illustration is by Barbara Whitehead. Photo courtesy of Southern Methodist University's DeGolyer Library.